Certain medicinal plants have properties that can be used to make an herbal alcohol ointment to prevent and relieve painful joints. 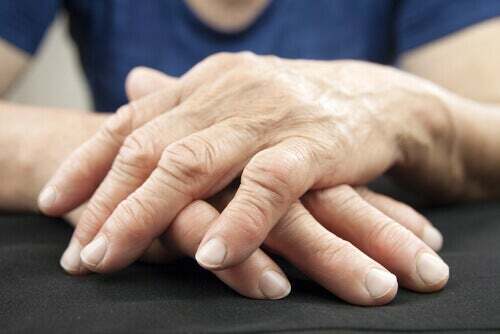 Joint pain can come from physical overexertion, an injury, or the deterioration that accompanies aging. Fortunately, you can relieve painful joints with an herbal ointment. Painful joints is an uncomfortable yet common problem. And, while it’s usually mild, it does interfere with people’s daily lives. 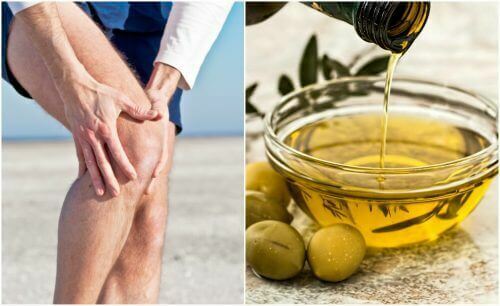 The pain is the result of an inflammatory reaction set off by the immune system, but it can also be a warning sign of a breakdown in the cartilage or ligaments that surround the joint. Regardless, it deserves your attention, since the stiffness and pain tend to increase if not treated in a timely manner. 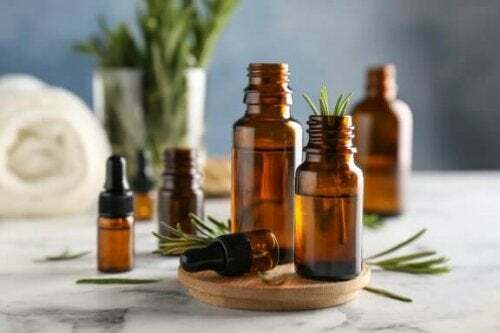 Fortunately, in addition to conventional medication, there are alternative ways to treat it, minimize the symptoms, and keep it from affecting your quality of life. One of them is this herbal alcohol ointment. It reduces inflammation, improves your circulation, and minimizes pain. Herbal alcohol ointments are a natural topical treatment that uses the anti-inflammatory extracts of certain plants to help with joint pain. It’s a mild formulation that gives you the nutrients you need to stimulate blood flow to the painful area, thus helping reduce your symptoms. Applying it via massage helps tone you capillaries, preventing circulation disorders and edema. It has softening effect, helping get swelling under control and encouraging movement in the stiff joint. And, it stimulates your lymphatic system, aiding in the removal of toxins from your body that are causing inflammation. 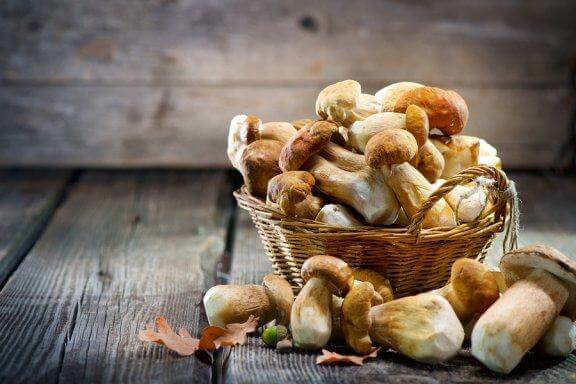 It has a positive effect on phlebitis, varicose veins, and thrombosis. Additionally, it relaxes tight muscles and helps improve cellular oxygenation in order to speed up recovery of the injured or inflamed joint. Also, it’s a good way to find relief from chronic health issues such as arthritis and bone diseases. It refreshes tired legs and gets blood flowing in your lower body. How do I make an herbal alcohol ointment? Making this herbal alcohol ointment means having on hand a soothing, pain-relieving product for painful joints. While it can be used on already painful joints, it’s best to have it made beforehand so you can apply it as soon as symptoms appear. The advantage of this product is that it can be stored for a long time, so you can keep in in your medicine cabinet for anytime you need it. It’s best to use fresh herbs, with all of their extracts and nutrients. 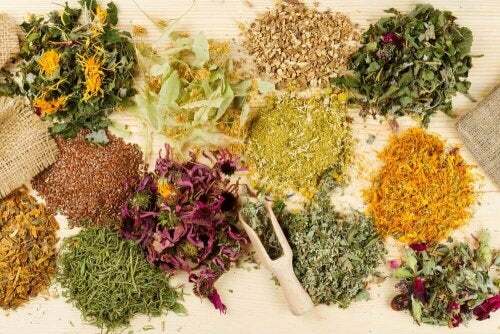 You can find the herbs in natural food or herb shops. Sterilize the glass jar with its lid. To do so, boil it in a pot with water for 20 minutes. Meanwhile, use the cutting board to finely chop all of the herbs. When the jar is done, dry it well and then add the chopped herbs. Then pour the liter of alcohol in and make sure the herbs are completely covered. Cover and keep in a cool, dark place for 3 weeks. After this time, strain the alcohol to remove the remains of the herbs. Add a bit of the alcohol to a clean cloth and rub it into the painful joint. If you like, apply it with your hands for a relaxing massage. Use before bed so it can work overnight. Repeat anytime you feel the pain. Don’t forget you can also use it for sprains and tendinitis. 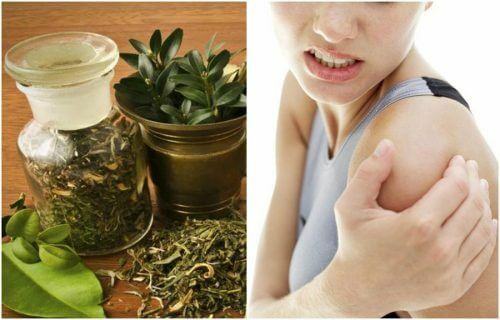 It’s very easy to make this natural herbal remedy, and it is so good at treating pain. Follow the steps above and keep it on hand. That said, before applying it, test it on a small area of your skin first because it could have undesired effects on sensitive skin.